Todays post is about travel. To tell you honestly i love travelling as much as i love fashion and hair and i am looking forward to creating more travel posts on the blog. 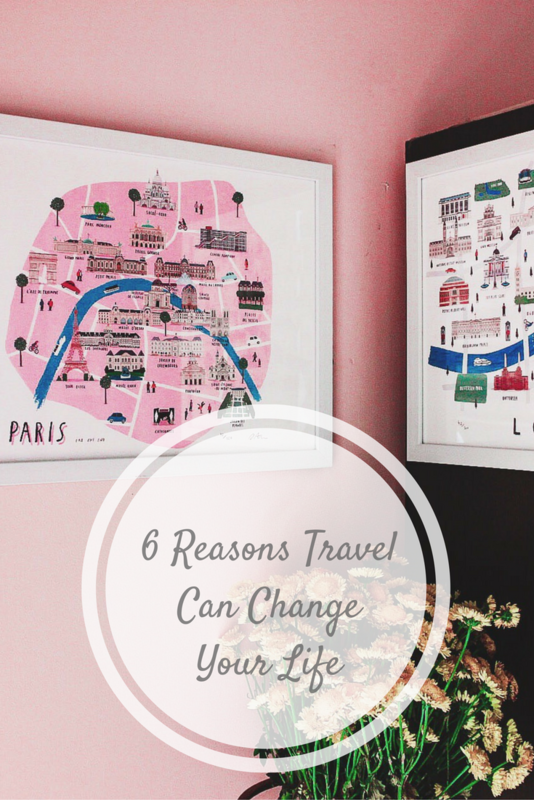 To begin with i thought of sharing my top 6 reasons to travel. 1. To know myself- i have learnt so much about myself through travelling, its not even funny, i almost think i dint know myself before. In a foreign environment you are faced with different situations and people so dealing with them you get to test yourself and know your strengths and weaknesses. 2. To create memories- Life is all about memories the food we eat, the nature we experience, the streets we walk on, the people we meet and travelling is the best opportunity to do all that. 3. To experience different cultures- before i started travelling i always thought of my culture to be very different and probably the best but through traveling i now know how similar we are as a result of which i am more accepting and open to the world. 4. To be free- Travel has transformed me into a free and independent person. I no more have the mindset of being bound to a place or society or situation or money i feel in charge of my life and if something bugs me i feel i can just go. 5. To become a storyteller- I look forward to sharing travel experiences with my friends and family. Narrating that surreal star lit night in Ladakh on a motor bike or that windy day that could have blown me away in wales, it helps me become a story teller which i absolutely enjoy. 6. To learn Fashion- There is so much learning through travelling but being a fashion lover i most look forward to the fashion in different parts of our world. My personal style evolves every time i visit a new place and is the product of my travels. London and Paris are my most loved cities in the world and i am in love with how alex foster has illustrated the two cities here. Alex foster is an award winning illustrator specializing in city maps, check his online shop for more awesomeness!! I hope you liked my first travel post and got some motivation to travel, if not already! What a great post!!! I would love to travel the world and experience more culture! Great post and reasons to travel. I always love traveling, getting that feeling of being some place new and how small you feel being outside of your environment. Reestablished how big this world is and that there is life out side our own small surroundings. Great post! I need to travel more too! Can't wait to see some more of your travel posts. I love traveling! Before kiddos exploring new places was one of my favorite things to do! So many different cultures and scenery out there to experience! I love those prints! I have gone to London and Paris and just fell in love with them! Totally checking out those prints because they are fabulous! You are so right, when we travel we create memories and learn so much about ourselves and other cultures! I loved the maps! Hope you have a nice week! What beautiful photos!!!! Love them all. great motivation to travel the world!!!! Chichi, I love this shot of you! It has such a wanderlust vibe, perfect for this post. I haven't traveled as much as I'd like and hopefully that will change in the near future, however, I can say that I agree with everything you've mentioned here. It has definitely tested me and helped me learn what I'm capable off and what areas I need to strengthen more and it has made me understanding, open, and compassionate. Thanks so much for sharing, beauty, and I hope you're having the best start to your week so far! Loved this post, there are no better reasons indeed! Love this look and I agree with all of these reasons! traveling is so fun! I hope to visit Europe someday soon! No need to convince me to travel! It's always been something I've been deeply interested in and want to do more of in my life. 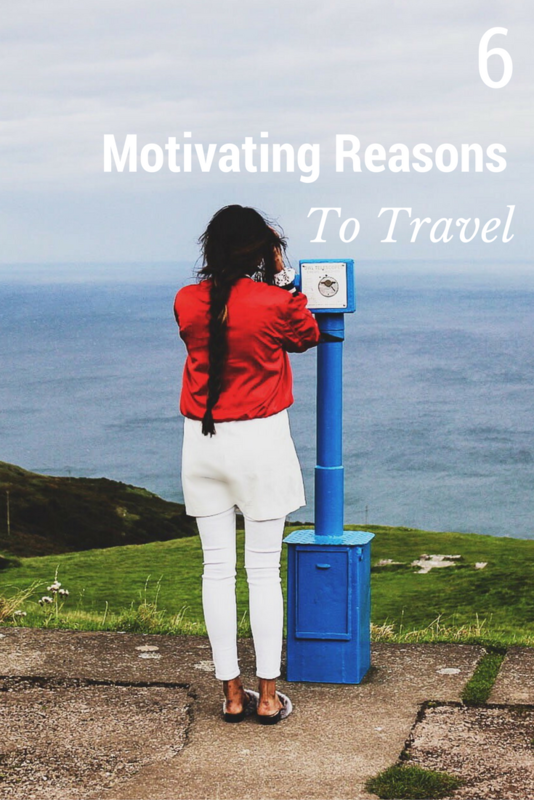 These are some really helpful reasons to motivate you to get out and travel! Someday, when I get the time, I'll be sure to travel. Cute post! Traveling is the best!! I always say it's the greatest gift we can give ourselves. I never really thought about learning fashion. But that's a great idea! I think all the place I've been have shaped me a little with style. Especially places like London and Paris. Hope you are having a great week! Really enjoyed the pics and I look to travel each year as well. Im off to a late start, but better late than never. Beautiful photos and great reasons to travel indeed. I never thought of traveling as being one way to get to know self, but that's amazing and true. I don't travel much, Chichi, because my lifestyle does not permit it at this point. But thank you for this beautiful and inspiring post! And thanks for linking up with me On the Edge. Travel changes your soul. I love the point about being a storyteller. I too love traveling so much and want to do more of travel posts. Loved the illustrations. Keep exploring! One of my goals for 2017 is to travel more!